Handmade Christmas cards can be a fun project to make for the holidays. Create cards for friends and loved ones yourself, or gather your friends and family to make lots of different designs together. The following free card patterns feature simple designs that can be created quickly, so you can spend extra time adding embellishments or crafting the perfect sentiment to go inside. If you need help downloading the free card patterns, check out these helpful tips. 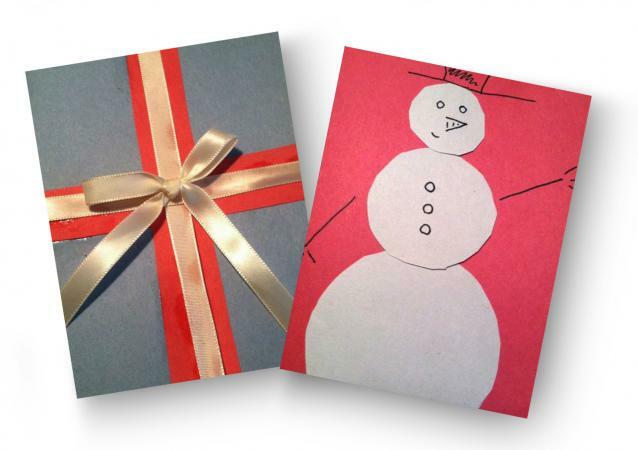 Make and send this cute snowman Christmas card to friends and family. An easy design for kids of all ages, this card is a fun family project. Click here for printable pattern. Everyone will enjoy crafting this Christmas present card. Giving this card during the holiday season adds a personal and creative touch to your greeting. To download the printables click on the images. The printable instructions will open in a new window or tab. From there you can either print the document or save it for a later date. Use rubber stamps to place a special message or image inside of the card . Make the snowman circles out of fabric for an eclectic look. Simply cut the circles out and use a glue gun to attach them to the card. Make the snowman's hat out of black felt and glue on. Use rhinestones for the snowman's buttons. Place a small, lightweight gem or pretty bead on the center of the bow on the present card for added glitz. A light coating of clear spray adhesive followed by a dash of glitter will make either card really pop. Use heavier cardstock for stronger, longer lasting cards. Decorate an envelope for each card for a more formal presentation. 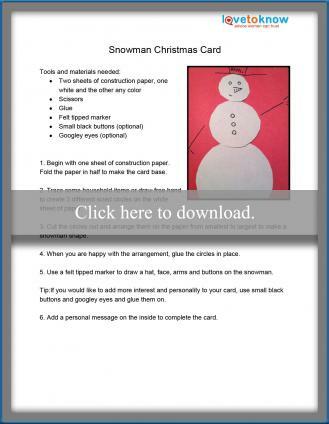 Here are some free sources for a few more involved patterns for making handmade Christmas cards. 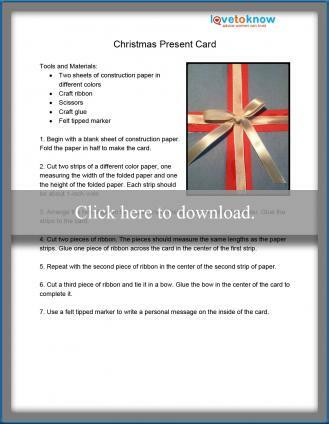 Patterns for handmade Christmas cards make it easier to quickly design and make your own handmade cards. Even though you are using a pattern, you can make each design your own by selecting materials, color schemes, and embellishments that make each card uniquely yours. Don't forget that when you make your own cards, you can also include a greeting that is personal and from the heart!